Working in the heart of the community is a real privilege. It’s rewarding when people pop in to say the loaf they had last week was extra specially delicious. It’s also incredibly rewarding to see how people we work with have used breadmaking to support their wellbeing. 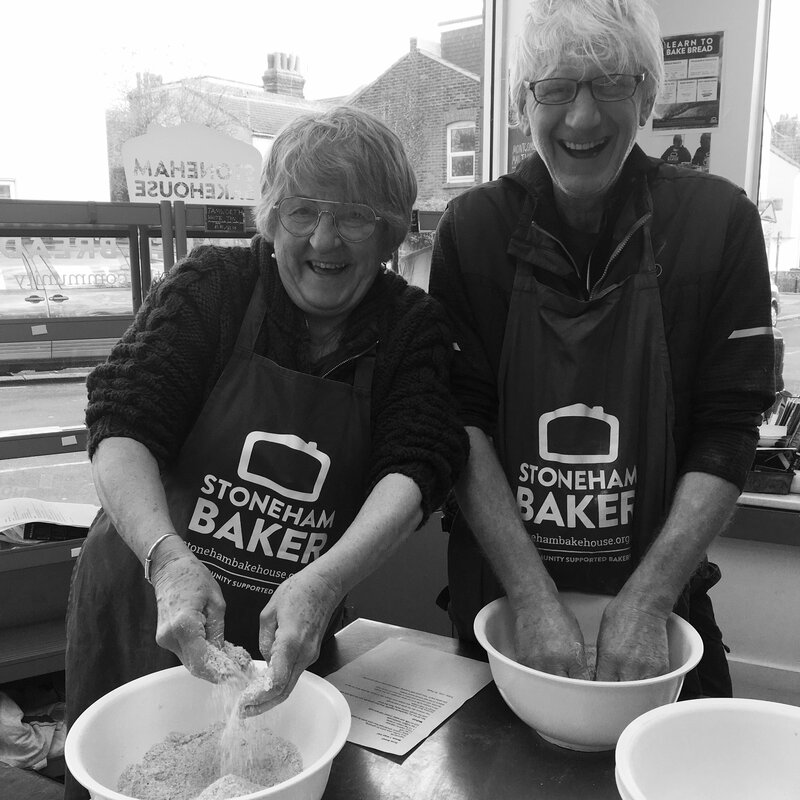 We’ve reached the mid point of our latest Lottery funded BreadShed group, working with older people to tackle isolation and build confidence through breadmaking, and we can see how baking together, having a chance to talk to others, is having a positive effect. “There’s nothing like working together in a group to learn new skills. This has inspired me and helps my self-esteem no end”. We love how baking a loaf can be so supportive of people’s wellbeing, and bring such fun. We love our customers. We love the way you flock to buy our cinnamon buns on a Saturday morning, often queueing out the door to do so. We love the way you meet people in the Bakehouse and chat about what’s going on in Poets’ Corner. We love the fact that you feel we’re a safe place to talk about mental health. Thank you for making us feel valued and a part of the community. We want to say thank you to you too. So we’ve introduced a loyalty card. Buy 12 of our loaves, and we’ll give you a 13th one free. 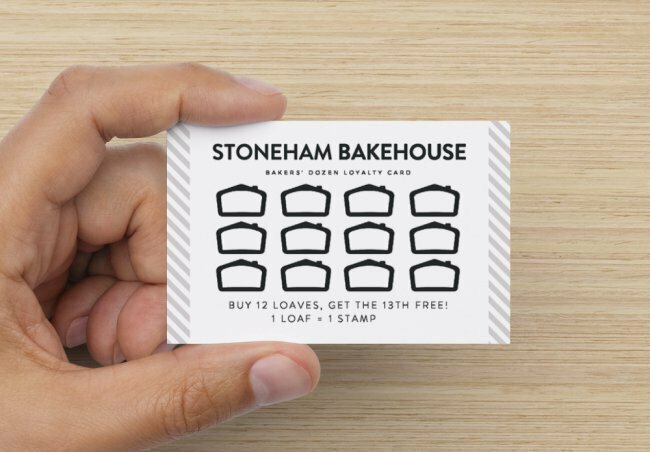 It’s easy; each time you come get a stamp on the card for the loaves you buy, and a free loaf will come your way when you get to 12.